A new Greenwich.co.uk microsite documenting the fascinating connections between Lord Nelson and Greenwich. 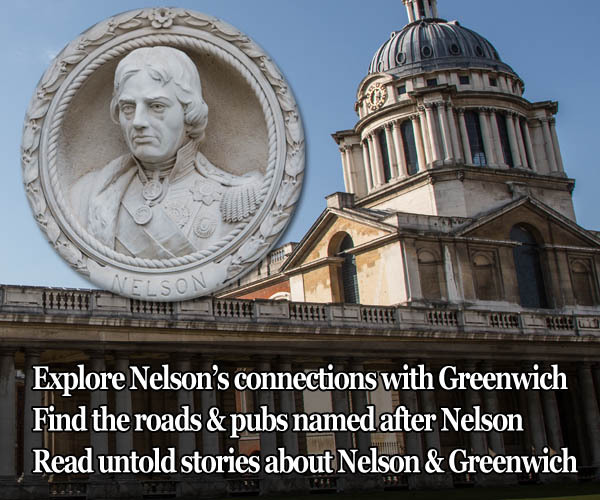 Follow the trail to see the various statues, busts, memorials and more that connect Nelson with Greenwich. Also, we'll have interesting articles shedding new light on long forgotten stories from the archives. 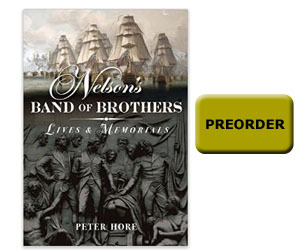 New book by former Greenwich resident Captain Peter Hore with biographies of Nelson's Band of Brothers, featuring photography from Greenwich.co.uk editor Rob Powell. The Nelson in Greenwich microsite aims to be a collaborative effort so please do get in touch with any corrections, additions or stories to share - click here to send an email. Check out these links and resources for continued research into Nelson and Greenwich. With grateful thanks for assistance to Pieter van der Merwe, the Warwick Leadlay Gallery, the British Newspaper Archive and the Times Archive.